What Will You Do With Your Mining Equipment When AI Takes Over? Sell It on Ebay? Blockchain technology is not flawless. While the idea is strong, the underlying tech behind it is falling behind. The blockchain relies on people and the power of their computers to verify blocks of transactions. Blocks can only hold so many transactions, and miners’ rigs can only handle so many blocks. That, and mining blocks takes time. The companies behind cryptocurrencies must provide an incentive for miners to continue spending their time on the blockchain, and those rewards can vary based on the value of the cryptocurrency they are mining. The more transactions to process, the slower the network. In short: scalability is the blockchains downfall. 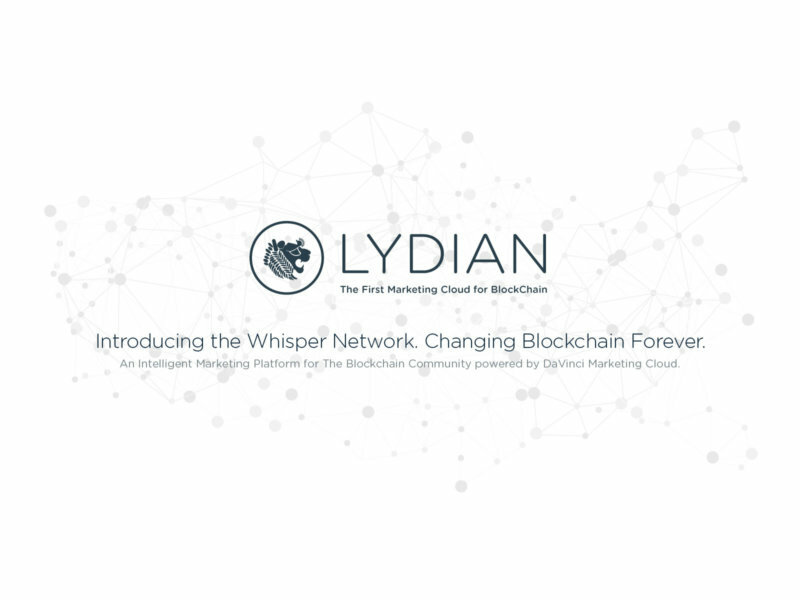 One company, Lydian, is attempting to get rid of the reliance on miners. Their attempt is via The Whisper Network. The Whisper Network is a platform looking to disrupt the world of digital advertising by utilizing a decentralized artificial intelligence technology. By taking advantage of A.I., The Whisper Network can identify and then target potential customers. Because of this, the digital advertising ecosystem will become infinitely more user-driven. Lydian has two products: MonaChain and MonaBrowse. MonaChain intends to use the blockchain and its own DaVinci marketing cloud technology to avoid common cases of ad fraud and bring their clients the best possible experience. MonaBrowse will fight to remove AdBlockers by allowing users to control not only the amount but also the extent of advertising they experience while browsing the internet. As a result, digital advertising will become more user-centric as users receive ads targeted towards them. This will increase overall engagement and have a positive impact on the ad-ecosystem as a whole. Now, how does this factor into the miner argument? The Whisper Network and its products, MonaChain and MonaBrowse, run on something called the Directed Acyclic Graph (DAG.) The DAG presents an alternative solution to mining by the way it handles transactions. Instead of grouping transactions into a block and requiring a miner to verify them, the DAG uses each transaction to solve the one that comes after it. The same artificial intelligence behind the digital advertising technology is used here. Unlike a standard blockchain tech, where blocks are generated one after the other, WPN blocks are created simultaneously. Then, if the A.I. calculates all previous responses as valid, the next one will be too. As more transactions are added to the network, they are validated even more quickly. This speeds up the process exponentially, alongside lowering transaction charges to almost nothing. If the Whisper Network Protocol wants MonaChain and MonaBrowse to work the way they should, this speed is necessary. Digital Advertising requires near-instantaneous bidding for ad-placements. Otherwise, clients miss out on valuable ad-space and revenue. The potential of the DAG technology is vast. It eliminates the need for an entire aspect behind standard blockchain technology (the miners) by utilizing artificial intelligence. Also, the DAG solves the biggest problem facing conventional blockchain technology today: scalability.